Thank you Representative Dave Maloney! Maloney, a Republican Berks County representative in the Pennsylvania House of Representatives, introduced HB792 today to kick off round 2 of the effort to make “parked car protected bike lanes” officially legal on PennDOT Streets in the Commonwealth of Pennsylvania. 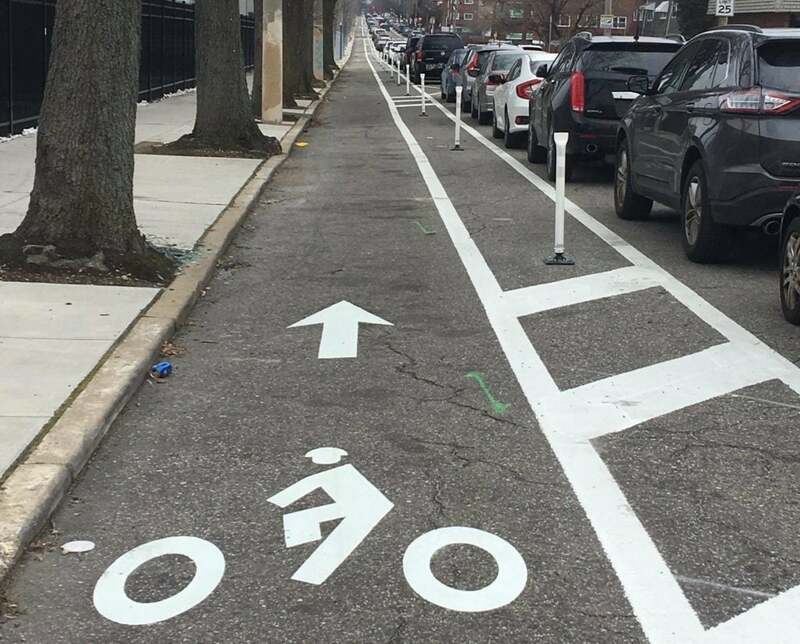 This fix to the PA Vehicle Code is desperately needed to give transportation planners and engineers the option of using this type of protected bike lane to help reduce speeding and increase safety on roadways for bicyclists, pedestrians and motorists. The absence of this technical fix has held back Philadelphia, Pittsburgh, and York (with some exceptions) from installing this commonsense engineering design that calms traffic and improves safety while preserve motor vehicle parking. The Bicycle Coalition worked with Representative Maloney to introduce the bill and we are grateful for the support of several Philly delegation Representatives — Mary Jo Daley (D-148), Ed Neilson (D-174) and Jared Solomon (D-202) — along with others from other parts of the Commonwealth: Brett Miller (R-41), Mark Longietti (D-7) and Carol Hill-Evans (D-95) who are all initial co-sponsors. Right on! To the Ride on! Yo!